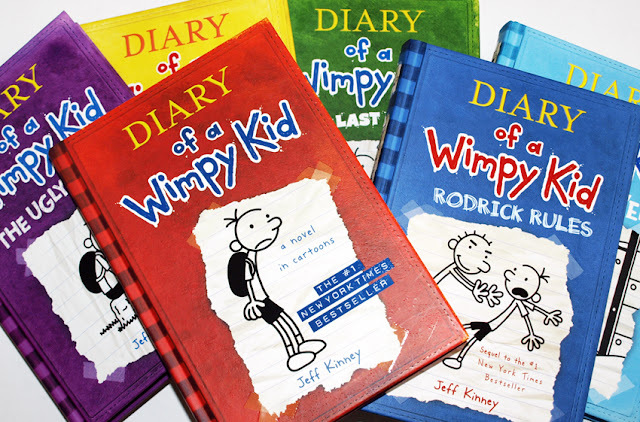 Yesterday, I bought the two pack Ovaltine that has a copy of "Diary of a Wimpy Kid". I have been seeing it in supermarkets since July. The church close by didn't let me sleep easy. So at 2:00am I read 75 pages of the book. It was an easy and enjoyable read. And it got me thinking about my own unfinished novel - Akin Smith. Maybe if I could just get it done, and going by my great theme and unique story, it might win international awards too. It connected me with the child in me. That not much has changed since growing up. Even though I have somehow managed to push out the fun in life and work all the time, there is the not so complicated me within. The child-like me who wants simple things and some fun. Very easily we feel we've outgrown the child we once were. Yet our best memories are childhood ones, and it's because the child never really disappeared as we grew. There is a child in us all. And it is why books like Harry Porter and Diary of a Wimpy Kid become so hugely popular. A large chunk of the world's bestselling books are themed around children. That is the easiest way to connected strongly with everyone, both young and old. I pray I find the time to complete my own novel. It's about a 12 year old boy and life as he saw and encountered it. I am hoping it, too, would connect with the child in us all.